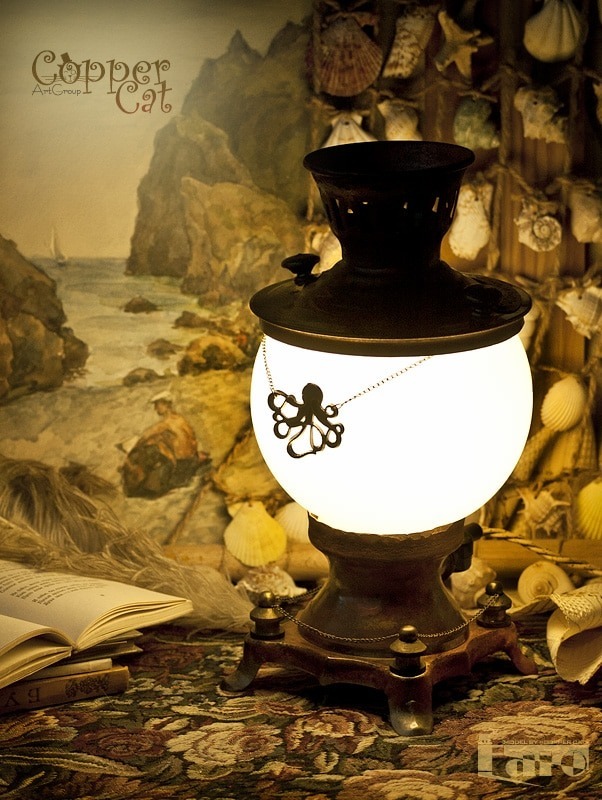 Antique Table lamp «Faro» – new creative product of the «Copper Cat Art Group» company. With this model, we continue a conceptual series of designer interior items in the style of steampunk. 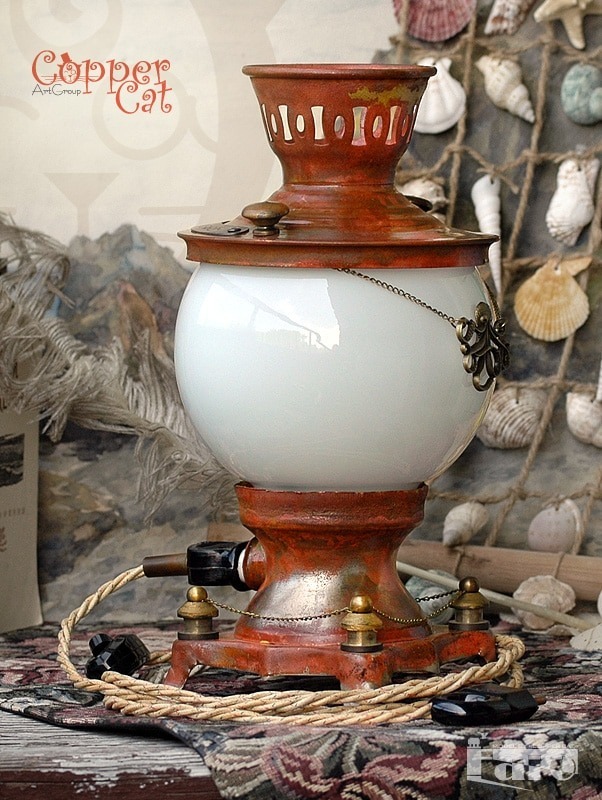 Rarities of Soviet times are used at the basis of the lamp «Faro»: an electric samovar of 1990 and vintage lampshade made in the mid of 80-ies.